Belgium has transported about 81 TWh of electricity over the high-tension network in 2013, of which about 10 TWh – or about 12% – was net-imported from the surrounding countries. 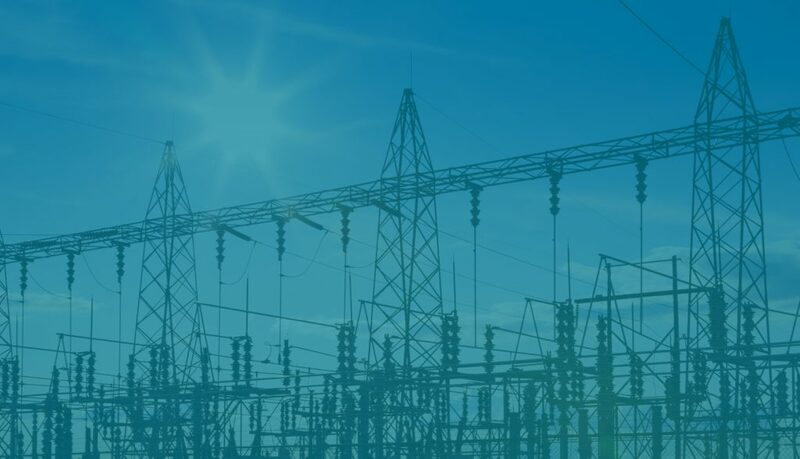 The generation of the electricity is done by a mixture of power generators on the high-tension grid, together having a total installed capacity of 14,9 GW. About 80% or 11 GW of this installed capacity is dominated by nuclear and thermal installations. The high-tension grid carries a continuous base-load of 52 TWh in energy demand which is generated by stable non-tunable power generators. To handle (part of) the peaks on top of the baseload, tunable power generators are required. The medium / low tension grid had about 7 GW of installed capacity in 2013 to generate up to 6TWh of electricity. The situation has changed dramatically since 2014, as we are facing technical issues with the ageing of the nuclear installations (micro-fissures, unplanned oil leakage, …). On top all nuclear plants are currently planned to be decommissioned before 2025 as they are end-of-life. At current levels of energy demand about 6 GW of new stable power generation capacity, producing 41 TWh of energy, needs to be found latest by 2025. We also experience a tendency of growing electricity demand due to a growing population, growing production (as soon as the economical crisis fades out) and more power-consuming devices (household apparel, 0,5M electrical vehicles, …). In the high growth case we need even an additional 10 TWh by 2025; in low growth we remain at the current consumption levels. Firstly, we see that nuclear power raises a lot of questions both in terms of cost and lead-time to build, as well as environmental burden and potential risk (radioactive pollution). Secondly, there is no appetite to construct steam-and-gas-turbine plants as they are (currently) economically unviable ( too low spread in price between electricity and gas), or potentially increase the dependency on gas imported from geo-politically unstable markets, and is a large contributor to CO2 and small particle pollution. Thirdly, pushing generation down to mid-and-low-tension grids would require massive newly built bio-, natural gas, waste-fueled, solar and / or wind installations, putting extra strain on the tunable power generators on the high-tension grid (to compensate for over- and underdemand due to variability in production), and on the topology of the low-medium voltage grid (not being designed to handle high volume injection). Time is ticking, knowing that we have to find at least 41TWh (50% of our current need) by 2025. We need a plan looking forward to give a stable, cost-competitive, geo-political and environmentally friendly framework to refrain from going into black-out (uncontrolled and unwanted shut down of the network), or ending up with too high energy costs to compete in a global market, or being confronted with a highly polluted world leading to ecological disruption. 2.1 What is the cost of electricity? In a study released in October 2014, called “subsidies and costs of EU energy” done by Ecofys upon request of the European commission, a good basis is given to compare costs of different types of power plants. The study is based on three components: intervention costs (all kinds of subventions for R&D, energy demand, energy savings, investment stimuli), external costs (such as climate cost, agriculture land occupation cost, resource depletion cost, human toxity cost) and of course cost of energy (fuel cost, capital cost and operating cost). All cost components were derived from extensive data analysis in 28 european countries for the year 2012, and the calculation of cost of energy is based on technologies as if they would have been installed in the period of 2008 – 2012, using new (thus more efficienct) energy conversion technologies while still reflecting the current load hours per plant (cost of energy is thus referred to as called levelised cost). Electricity production prices (or levelised costs) would rise close to 100€/MWh when we operate the power plants with new technologies, but keeping the same mix as today. In case the MWh price is corrected for cost of CO2 (43€/ton) and nuclear waste, we experience prices as of 120€/MWh (nuclear and solar) even going to 160-200+€/MWh (gas and coal). Note that solar and wind have external costs due to stand-by capacity needed of a tuneable power generator (gas or coal). For the sake of completeness here, one could argue that better high-tension interconnectivity between European countries increases the supply-demand balancing over more users and makes better use of the north-south differences in wind and solar patterns, and thus (marginally) helping to decrease the need for tuning with gas and coal plants (see further). Too high energy prices will put our economy out of the market unless all countries are transitioning on the same timeline towards new built plants and incorporate at the same speed the external costs. This is very unlikely. 2.2 Are there game changers? The current Belgian market price for electricity is about 50€/MWh. Basically this only covers two thirds of the total cost being about 74€/MWh (41€/MWh energy cost, 25€/MWh external costs, 7€/MWh of intervention costs). new (50%) nuclear plants, 20% steam-and-gas-turbine plants (but 30% more efficiency compared to current plants) and grow to? 30% renewable energy (wind, solar, hydro, bio-mass) leading to an average energy cost of 93€/MWh and reducing the CO2 emission by 25% (due to higher efficiency of gas-plants). 70% steam-and-gas-turbine plants (but 30% more efficiency compared to current plants) and grow to? 30% renewable energy (wind, solar, hydro, bio-mass) leading to an average energy cost of 55€/MWh but doubling the CO2 emission. 40% steam-and-gas-turbine plants, 30% import through improved European interconnectivity (with enforceable delivery clauses at three year fixed contract price) and 30% renewable (wind, solar, hydro, bio-mass) leading to an average energy cost of 57€/MWh, yet also nearly doubling the CO2 emission as most import will come from current dominant gas or coal plants. 30% windfarms (maximum feasible installed capacity), 60% steam-and-gas-turbine plants and the rest solar and hydro, leading to an average energy cost of 85€/MWh, yet also increasing the CO2 emissions with 75%. Technological evolutions as well as economies of scale will lower the cost of renewable energies. If costs of wind energy would halve, then generation costs would drop almost 20€ per MWh. A new technology called “Carbon Capture & Storage (CCS)” could seriously reduce CO2 emissions (85%) of steam-and-gas-turbine plants. Expectations are that the second generation plants will run at extra 15+€/MWh, instead of current 25+€/MWh cost. Yet, to put some things in perspective : “a golf-ball-sized lump of uranium would supply the lifetime’s energy needs of a typical person, equivalent to 56 tanker trucks of natural gas, 800 elephant-sized bags of coal or a renewable battery as tall as 16 “super” skyscraper buildings placed one on top of the other”. It is fair to say that no big game-changer is expected over the next decade dramatically changing the ratios with the golf-ball number, but CO2 crisis could bring pressure to speed up things. 2.3 Can we buy time? We might delay the nuclear phase-out plan with 10 years, and as such keeping CO2 levels down, while using these 10 years to evaluate how the “carbon capturing & storage” technique as well as the cost of windfarms will evolve. Costs for running the plants as-is were calculated by NBB and CREG during the discussions on nuclear interests and range from 17 to 25€/MWh. We assumed investment cost for a lifetime extension of 10 years was estimated at 7,6€/MWh, based on the costs to extend the lifetime of Tihange 1 by 10 years. The cost of energy would under this scenario rise from 48 to 51€/MWh, and would stay in line with current market prices. Taking the decision to maintain the 5,9GW installed nuclear capacity, should go hand in hand with a philosophy to gradually grow over the next 10 years towards 30% energy from windfarms. The current import/export peak of 3,9/1,7GW would change to 2,7/8,7GW, making us a net-exporting country when the installed windfarm capacity has reached 6GW, in a year with favorable windfarm weather conditions, due to non-tuneable nuclear installations unable to counterbalance the windmill overproduction. Once we reached 10,6GW installed windfarm capacity, the export could reach maximum levels of 7,4TWh. In case there is no buyer-market at time of net-export, we will have to modulate down (part of) the generation of energy by windmills and compensate the production loss with “intervention costs”. By far this seems a better option than replacing the nuclear plants by steam-and-gas-turbine plants, facing a potential penalisation for external costs (knowning replacing nuclear with steam-and-gas-turbines generates 100% extra CO2 burden compared to today). Cost of CO2: In the Ecofys study 43 €2012/tCO2e is used (while current CO2 market prices are about 7€/tonne; in 2007 they were even 0). The external costs can drop with 40% when using a 30€/tCO2e depending on the technology used. In case we go for 70% steam-and-gas-turbine, and the CO2 cost would rise up to 200€/tCO2e we face an extra 60€/MWh of cost. This factor only has impact on fossil-based plants without CCS. Cost of human toxicity: This cost is highest for coal, summing up to 40€/MWh. Natural gas and nuclear toxity has a relative low cost (5€/MWh). However, a nuclear disaster has effects in the billions of €. In addition, there still is no adequate means of long-term waste storage. Continuing the 5,5 GW of installed nuclear capacity would create 5.000 tonnes of highly toxic waste as well as sustained operations risk over the next 30 years. Spark spread with electricity price: Currently we face a spread between gas and electricity too low to economically run steam-and-gas-turbine plants. The spread between gas and electricity prices should cover at least the 60% conversion loss (about 10€ today) as well as the variable cost of production (up to 25€). Government subsidies: In order to remain competitive in global market, energy prices should not rise more than the prices in other countries. Currently the Belgian government subsidises about 1B€ per year, funded half by nuclear taxing. All scenario’s put forward have shown substantial extra “intervention costs” (0,5B€/yr – 5B€/yr). High costs, high uncertainties, leads to paralyzation in decision making? Looking at possible scenario’s at current prices, all are much more expensive than the cost of the existing generation capacity. In addition, all scenario’s vastly increase CO2 emissions, except keeping the nuclear powerplants. It seems, the best approach would be to buy at least ten years of time and (partly) extend the lifetime of our current nuclear reactors. This makes sense from an energy cost, an external cost and a intervention cost perspective, when comparing with all other scenario’s. At time of decision of extending the lifetime of a reactor one should evaluate nuclear upgrade costs versus investing in importing from abroad. In the mean time, we should continue to invest in wind energy up to about of 30% of our consumption (maximum possible on/off-shore). Efficiencies in technology (wind and solar) will gradually reduce the installation price and thus reduce needed government interventions. As nuclear reactors will continue to generate baseload, our export capacity will increase to almost 9GW at peak moments by 2025. Still import will be needed, because of the intermittent character of wind and solar. This implies investments in interconnection capacity part of an overarching European plan forcing countries to help each other with import/export when needed. In addition, this European plan needs to govern the investment in new power plants to avoid cross border over- or undercapacity. The ten years of time can be used to bring the “Carbon Capture & Storagy” or other techniques from laboratory to industrial scale. Based on the results and costs of those technologies, several routes can be taken. Either steam-and-gas-turbine plants combined with “Carbon Capture & Storage”can (gradually) replace nuclear power plants, or additional sun and wind generation capacity is built when energy storage is economically viable. The current net-subsidies of €550 million will not be sufficient. In order to keep the energy price at current levels, additional investments in the nuclear plants need to be subsidized. Of course a more in depth study is needed to underpin this whitepaper with more detailed facts as well as with a clear framework of hypothesis wich could change the market and thus create (geo)political, technological, economcial and energy demand (in)stability. Time is ticking, but a solution fitting (most) ecological and economical needs is still feasible.